Home » Life in London » Digital » Why Would You Buy a Selfie Stick? Why Would You Buy a Selfie Stick? Coming back to London from the Christmas break has meant going back to reality, which has included hearing and reading about those topics that I used to read or hear about before the party season started, which may not have cropped up during my break. Strangely enough, they have helped me to get back into routine. Selfies are one of those topics. I know it might sound a bit odd, but they are a bit of a distraction from the work and weather-related matters. 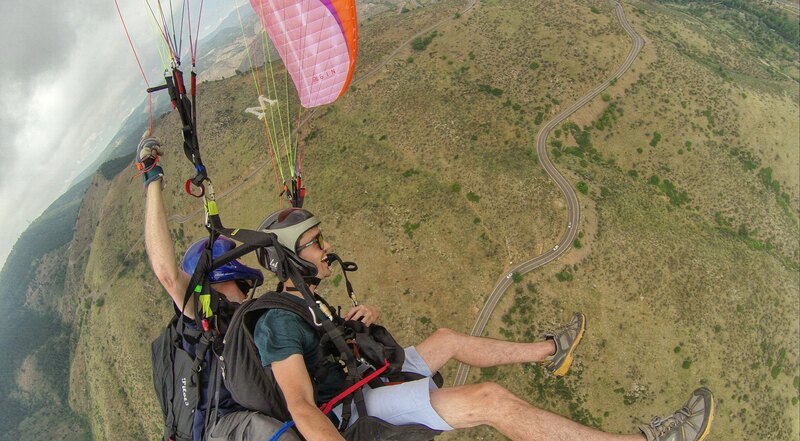 Now, how strange that selfie sticks are still so popular. I can see them most days when I walk in London. So popular that they have recently been added to the list of banned objects by some Premier League football clubs. Selfies have been around forever. Many of us have tried to take our own picture while looking in the mirror. Taking this idea as far as getting a selfie stick seems way too far though. I mean why would you buy a selfie stick? Some ideas and a fun shopping guide below. What do you think? Surely we don’t need to show our lives off in social media? Mind you, this pic is great. 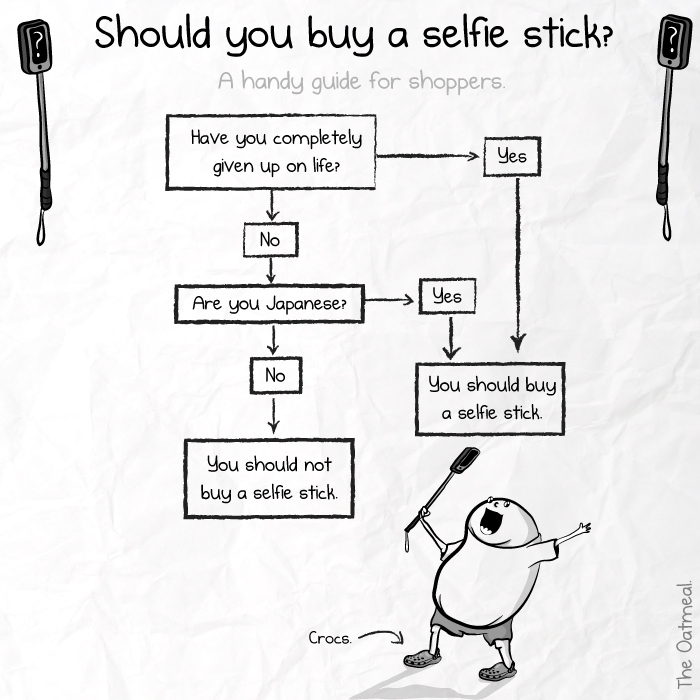 I love this fun shoppers guide from The Oatmeal, in case you still think that a selfie stick may be useful to have. Thanks for checking my blog today! When I first saw people using the Selfie Stick I didn’t realize what it was intended for. I thought it was a way to extend your reach with your camera so you could get shot above peoples heads say at a concert or some venue like that. Or simple for getting a shot of something high up. I would have to agree that I don’t see the need for it as it was intended. Then again, I’m not a big selfie person. Exactly! I was pretty amazed by the fact that it was intended to take pictures of yourself.